Ruby Waterfall series is equipped with two cockpits, providing moulded arm and back support. Drop-In installation ensures that whirlpool bathtub will fit into various styles of bathroom settings. Increased height of side edges creates additional support, while adding comfort. 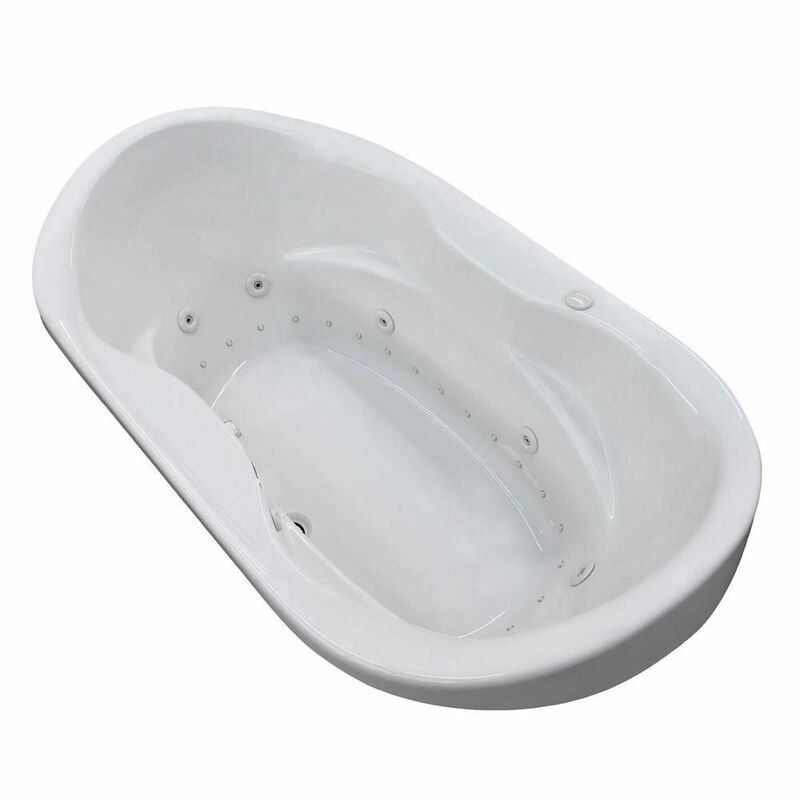 Ruby Waterfall Diamond 6 ft. Acrylic Drop-in Left Drain Oval Whirlpool and Air Bathtub in White Ruby Waterfall series is equipped with two cockpits, providing moulded arm and back support. Drop-In installation ensures that whirlpool bathtub will fit into various styles of bathroom settings. Increased height of side edges creates additional support, while adding comfort.